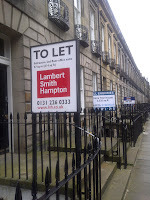 Halliday Campbell WS: Eloquent confusion and the incomprehensible notice: what's a landlord to do? Eloquent confusion and the incomprehensible notice: what's a landlord to do? We recently represented the successful appellants in the case of Scott v Muir and another . Sheriff Principal Stephen’s decision ought to be required reading for anyone who advises landlords or tenants or conducts commercial property litigation in Scotland. It sets down for the first time the essential core terms of a valid pre-irritancy warning notice served in terms of the Law Reform (Miscellaneous Provisions) (Scotland) Act 1985 s4(2). The 1985 Act provides, at section 4, that a landlord may not terminate (“irritate” in Scots law) a lease on the grounds of failure to pay money unless he has first served notice by recorded delivery on the tenant, calling on him to make payment within a period of not less than 14 days and warning that the lease may be irritated if payment is not made. The Act does not prescribe anything more by way of the content of the notice. In summary, the notice was simply “incomprehensible to the tenants” and would mislead any “reasonable recipient”. So what features characterise a comprehensible notice? It’s pretty obvious really: specification, accuracy, detail and clarity. Don’t lump the sums demanded into one global figure. State separately each sum that is outstanding. Say how much each figure is and what it is for (rent, or insurance premiums or whatever). Say when it fell due and, if interest has to be paid, say from when it accrues and at what rate.2 State clearly the date by which payment must be made. Ensure that the terms of the notice and the procedure adopted comply with the terms of the 1985 Act and, of course, any specific provisions in the lease. We'll be happy to review and comment on any style notices or advise in any particular case. We can't always promise eloquence but we can help you avoid costly confusion. 2 Other commentators have suggested specifying an actual figure for interest but we don’t think that is right. It’s not what the Sheriff Principal decided. She said (emphasis added) that “it is imperative that the tenant on whom the notice is served knows how to calculate the interest. To calculate the interest the tenant requires to know the date from which interest should be calculated and therefore requires to know the month of arrears and also requires to know the prescribed rate.” Indeed, an actual figure for interest will be out of date if calculated to the date of the notice or potentially incorrect if calculated to any other date. The actual figure due by way of interest can only be known if you know when payment is to be made. A true David v Goliath case, well done Halliday Campbell! !